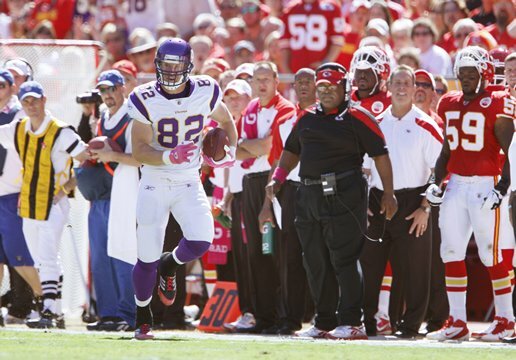 The Vikings just continue to kill themselves with penalties and mistakes a critical points in games. For the fourth week in a row, they have defeated themselves. Talentwise, the Vikings have enough of it to win though they have glaring weaknesses on both sides of the ball. But that is what makes it so frustrating watching this team lose; each game they could have and should have won. That, however, is what losing teams do: They give away games. They lose focus, they break down, they commit penalties, and they have no clue. But while at least one local columnist and most fans are clamoring for the Vikings to lay down and give up on the season, Leslie Frazier and the Vikings are clinging to the hope of the 1992 San Diego Chargers, who overcame an 0-4 start to make the playoffs. But because there is hope, however thin a sliver of it, that’s what the Vikings must cling to. The Vikings host a 1-3 Cardinals team next week and, given that we haven’t been blown out in any of our losses, it is plausible we could win. If the Vikings can find the formula for victory, then maybe they can take that into the following games against the Bears and the Packers. I know I’m stretching here, but you take two division games and suddenly you’ve got some momentum facing a currently 1-3 Carolina team with a bye week to prepare for hosting the Packers. Yeah, it’s a long shot; but it’s a shot. Because there’s still hope, I expect Donovan McNabb will start next week but if we drop to 0-5, then, unless the coaches think he’s not ready, I don’t see much point anymore in not turning the team over to Christian Ponder. If they think he’ll get consistently hammered behind an offensive line that cannot protect him, then maybe you throw Joe Webb to the wolves, if you’re not seriously planning on him being your franchise quarterback. Regardless of how this season plays out, it is a huge mistake to lay down and play for draft picks. It comes down to integrity; the Vikings as an organization cannot send the message to their players that quitting is ever tolerated.